A Phenician city on the island now called Ruad, eighty miles north of Sidon. It is the Arvad of Ezek. xxvii. 8, 11, the Armad of Tiglath-pileser III., and is also mentioned on the Egyptian monuments. 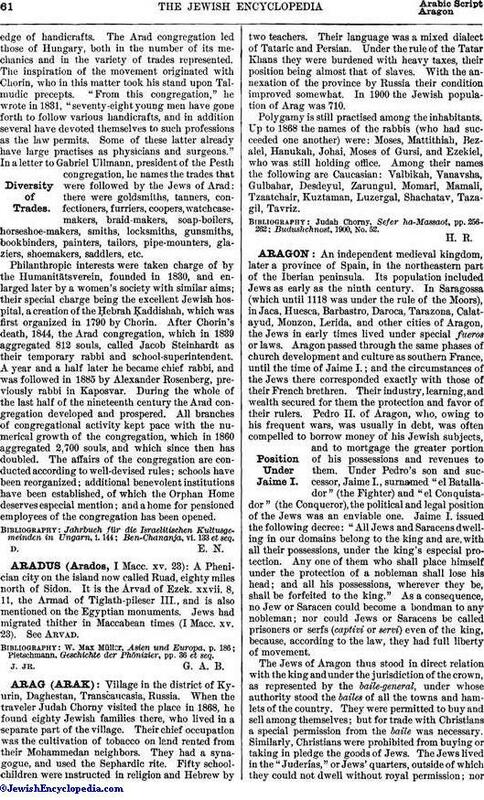 Jews had migrated thither in Maccabean times (I Macc. xv. 23). See Arvad. Pietschmann, Geschichte der Phönizier, pp. 36 et seq.